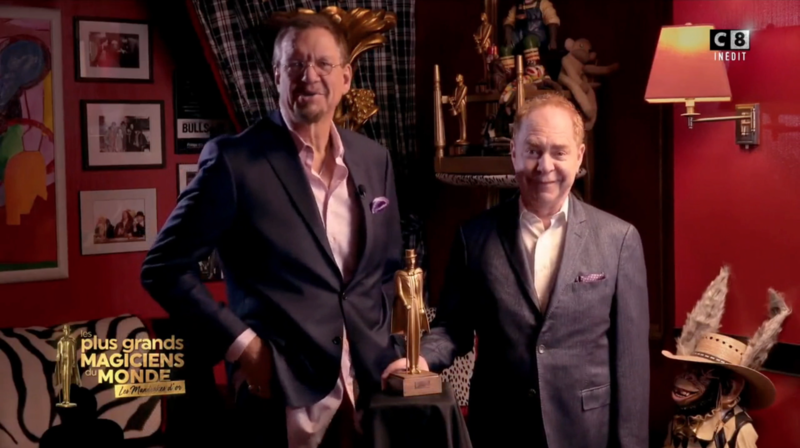 We enjoyed working with world famous magicians Penn & Teller filming their acceptance speech for the Mandrake d'Or award for 2018. This was an exciting shoot. We filmed remotely from backstage at the Penn & Teller Theater in Las Vegas, for the French national television broadcast of the "Les Mandrake d'Or 2018" award ceremony. The Mandrake d'Or is essentially like the Academy Awards for magicians. It was an honor to meet Penn & Teller and their producer Glenn Alai. We also had the pleasure of working with Mega Magie Productions in Paris.